CRUDE oil production from the Organisation of Petroleum Exporting Countries (OPEC) dipped by 30,000 barrels per day (bpd) in June to 29.94 million bdp, according to the latest Platts survey of OPEC and oil industry officials and analysts. Meanwhile, Nigeria’s oil production rose to 1.98 million barrels per day in July, the highest since March this year. The country’s production stood at 1.87mb/d in March. The survey showed Iraq’s output plunge of 160,000 b/d was largely offset by production increases from several other OPEC member countries. 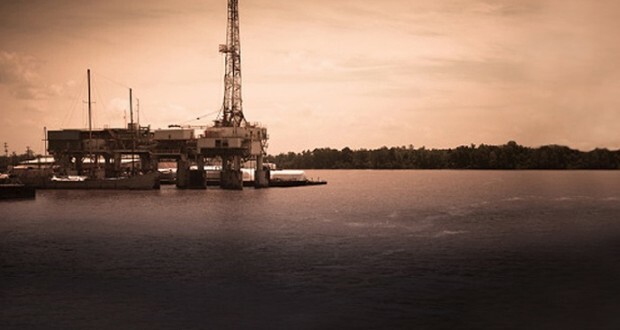 “Small though it may be, a dip in OPEC output is the last thing the consuming world wants to see,” said John Kingston, Platts Global Director of news. “OPEC itself sees the call on its crude averaging 30.4 million b/d in the second half of the year, so any drop in production from the organisation – even an involuntary one – could be viewed as a move in the wrong direction. Libyan production declined steadily in recent months, as the stalemate between the authorities in Tripoli and the protesters occupying oil facilities and blockading ports continued. The Ghana National Petroleum Corporation (GNPC) says Tema Oil Refinery (TOR) in its currents state is not profitable. It said unless the Tema Oil Refinery (TOR) is put into proper shape, it cannot be allowed to refine crude from the jubilee oil fields. The GNPC also discounted reports that it is refusing to supply TOR with crude oil. TOR, over the past few years has not been operating to its full capacity due to its huge indebtedness and other operational inefficiencies. Workers of TOR have been asking the government to allow Ghana’s crude oil to be refined by them stating that refining the nation’s crude abroad is not cost effective. The Africa Centre for Energy Policy (ACEP) has cautioned that TOR should only be allowed to refine crude oil if it will be cheaper. 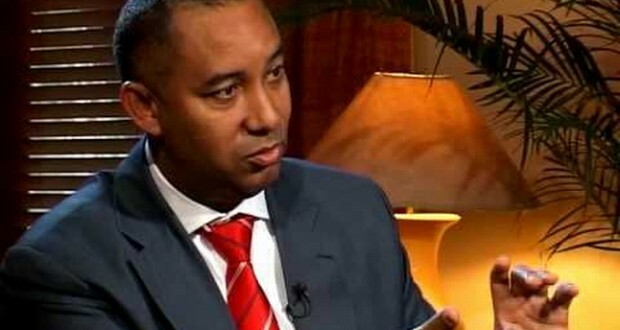 Speaking on the Citi Breakfast Show, the Chief Executive Officer (CEO) of the GNPC, Alex Mould said the Corporation is not insisting on Ghana’s crude oil being refined at TOR because some fundamental problems at the refinery must be addressed. Mr. Mould acknowledged that TOR has faced a lot of neglect over the years which led to the shutdown. The GNPC has between 18 to 20% of the total crude from the jubilee oil fields and it is mandated to sell the crude oil and pay the money within 60 days. According to the GNPC CEO, if the crude oil is supplied to TOR, the refinery is expected to pay for the supplies and support it with financial guarantees. Mr. Mould questioned how much the state would have to spend on TOR to enable it operate at full capacity. “How much is it going to cost us to fix Tema Oil Refinery? Where are we going to get the money? Are we going to sue tax payer’s money, from the budget or are you going to leverage on the Tema Oil Refinery’s balance sheet?” he asked. He further inquired whether the government will bring in a strategic investor to invest in TOR although such investors would demand total control over the refinery. The GNPC boss was convinced that TOR’s shareholder [government] would have to make a choice. 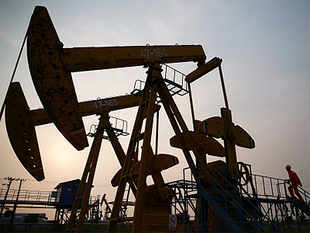 US benchmark West Texas Intermediate for September deliver rose 32 cents to $97.97 while Brent crude for September gained 23 cents to $105.25 in mid-morning trade. SINGAPORE: Oil prices rose in Asia Monday as dealers monitor sustained US air strikes on extremist militants in Iraq who are threatening the crude-rich Kurdish region, analysts said. US benchmark West Texas Intermediate for September delivery rose 25 cents to $97.90 while Brent crude for September gained six cents to $105.08 in afternoon trade. Iraq's Kurdish peshmerga forces on Sunday reclaimed two towns from Islamic State fighters, buoyed by three days of US air strikes to stem the jihadist advance. US President Barack Obama on Thursday ordered his country's warplanes back into Iraqi skies to prevent genocide by the jihadists against besieged religious minority groups and prevent an advance on the Kurdish capital Arbil where US personnel are stationed. "Investors take comfort in the knowledge that insurgents will be contained in northern Iraq, away from the oil fields in Kurdistan," said Desmond Chua, market analyst at CMC Markets in Singapore. The so-called Islamic State group controls large swathes of Iraq's north and west, and have declared a "caliphate" in those areas. The sweeping offensive began on June 9, preventing Baghdad from exporting oil via a pipeline to Turkey and by road to Jordan. Iraq's oil ministry on July 24 said crude exports totalled 2.42 million barrels per day in June, falling far short of a budgeted projection of 3.4 million bpd. As the number-two producer in the OPEC cartel, Iraq's 11 per cent of proven world reserves plays a key role on world markets and prices after violence disrupted oil exports from Syria and Libya. The dip in exports adds to the woes of Iraq, which is heavily dependent on oil revenues while spending more on military equipment to battle the Islamic State group. Three global shipping organisations have warned their members on the risks to ships’ crews whose vessels call in countries affected by the Ebola virus. 1) The Master should ensure that the crew are aware of the risks, how the virus can be spread and how to reduce the risk. 2) The ISPS requirements on ensuring that unauthorised personnel do not board the vessel should be strictly enforced throughout the duration of the vessel being in port. 3) The Master should give careful consideration to granting any shore leave whilst in impacted ports. 4) The shipowner/operator should avoid making crew changes in the ports of an affected country. 5) After departure, the crew should be aware of the symptoms and report any occurring symptoms immediately to the person in charge of medical care. Amid war and rumors of war, it seems odd that oil prices have dropped so far in August. That might be because another war could be brewing: within OPEC. Saudi Arabia on Wednesday released September official selling prices for its oil. It offered bigger discounts for Asian and U.S. buyers compared to August’s levels, while raising prices for Europe. As energy economist Phil Verleger pointed out in a recent report, this could indicate a growing battle for market share. Rising U.S. shale oil output has caused American imports of oil from West Africa to plummet from an annualized average of two million barrels a day in late 2007 to about 300,000 barrels a day currently. That forces countries such as Nigeria to push their barrels towards other markets, such as Asia—putting them in direct competition with Saudi Arabia and other OPEC members in the Middle East. By cutting Asian and U.S. prices while raising European prices, Riyadh may be sending a signal to Nigeria and others to target Europe but not price as aggressively in Asia. As OPEC’s biggest producer, Saudi Arabia can choose to accommodate competing barrels by cutting its own output—or price its own oil more competitively to defend its market share. That raises the risk of a price war in OPEC. The ongoing Takoradi Port Expansion Project has already started attracting investments into the Port’s Oil & Gas enclave as the Ghana Ports & Harbors Authority(GPHA) works to position the Takoradi Port as a major maritime services support hub along the west coast of Africa. Chris Wilmot, CEO of Takoradi Oil Refinery Company Limited, the project sponsors, and Brad Cox and Craig Sanders, Chairman and CEO respectively of COX OIL the investors, paid a working visit to the port on Tuesday July 29, 2014 and met with the Director General of the Ghana Ports & Harbors Authority and other stakeholders at the proposed project site. According to the investors, Takoradi port was chosen as the site of their new refinery for obvious strategic reasons, chief among them is the existing infrastructure at the port and the ongoing expansion program that GPHA has embarked upon to improve the port. The CEO of Takoradi Oil Refinery Company Limited, Chris Wilmot has assured partners of the project that they would employ the best practices to make the project extremely beneficial to Ghana’s economy. The refinery will be built on approximately 100 acres of reclaimed land at the harbor in an area designated specifically as a Maritime Industrial Enclave. As part of the ongoing Takoradi Port Expansion Project, the GPHA will reclaim more than 1,200 hectares of land and deepen the harbor basin to minus 20 meters to enable post PANAMAX ships to call at the port. Other ports infrastructure and access roads to and from the port would also be improved to ease traffic congestion. The sea ports of Takoradi and Tema in Ghana are seen as growth poles and drivers of economic activities and national development. According to the project sponsors and investors, the construction of the refinery is slated to kick off in the first quarter of 2015. COX OIL projects that the Takoradi Oil Refinery Company Limited will start operations within 2 years after project commencement date. Takoradi Oil Refinery Company Limited would have a production capacity of about 65000 barrels of oil per day. The situation in Libya has grown even more critical as militant fighters overran a Libyan special forces base in the eastern city of Benghazi. A special forces officer told Reuters that the main camp had to be abandoned after coming under sustained attack from a coalition of Islamist fighters and former rebel militias in the city. The battle at the special forces camp involved rockets and warplanes and left at least 30 people dead. Fighting in both Benghazi and Tripoli are reaching levels not seen since the civil war to oust Muammar Qaddafi. Libya has been struggling for some form of normality since the end of the civil war but this recent violence has exceeded anything seen in the past couple of years, leading to a number of countries pulling their people out. The UN began pulling out people earlier this month and the US, whose embassy is near the site of the airport where some of the worst fighting has been taking place, evacuated its embassy staff in Tripoli on July 26. Diplomats from the embassy were driven over the border into Tunisia under heavy guard. Turkey ordered its people home and in late-June requested its state-run oil firm TPAO pull its employees out of Libya. The UK and other European governments were also pulling their people out. Canada is temporarily pulling out its diplomats due to fears about their safety.